The job website Workopolis.com sent us an important email 2 days ago. 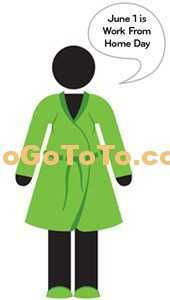 Maybe we had long time no check job websites, we never heard about Workopolis was for sale. What have we missed? 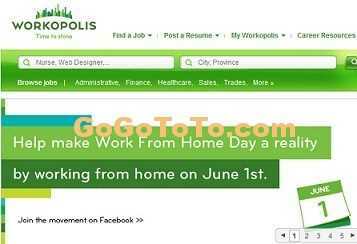 The famous and maybe biggest Canada Job searching website Workopolis is encouraging people to support June 1 as National Work from Home Day. The interesting number is In just five months Workopolis went from having 1,000 supporters to having over 65,000. The idea caught fire in Canadian across the country soon. They are pushing this social media campaign to reach parliament. We might get the Official National Work From Home day for Canada finally. 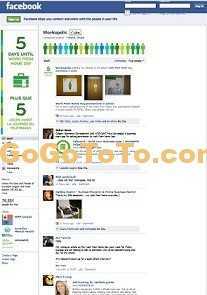 There are more interesting tools, please go to Workopolis site to read details.